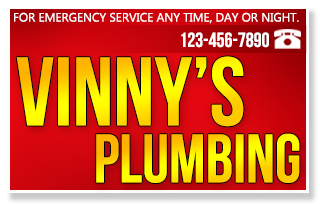 Vinny's Plumbing is a family owned and operated business since 2002. With over 28 years of experience, we know and have what it takes to make Vinny's Plumbing not just your first call for all your Plumbing needs but your only call. Quality work at affordable prices has helped turn Vinny's Plumbing into the business that it is- with over 90% of our clients giving us return business! 90% that is an industry high, Why? CLIENT SERVICES, AFFORDABLE PRICES, HONESTY, RELIABILITY, and QUALITY WORK -that's our secret. Master plumber Vinny Burgio has been servicing the Toronto area for over 15 years. Before that he would oversee the plumbing installation for mega construction companies in Manhattan, NY.